What to Do When You Lose Your Car Keys and Don’t Have a Spare? One of the most common reasons people call a car locksmith in Denver is because they’ve lost their car keys. It happens to the best of us – you’re running out to your car, you check your bag for your keys, and find… nothing. You retrace your steps, hoping you’ll find them lying on the ground or near your front door, but still no luck. And if you don’t have a spare set, losing your car keys is more than just a nuisance, it’s an impediment to getting on with your day. Fortunately, as a premier Denver car locksmith, the Job Done Locksmith team knows a thing or two about tackling a case of lost car keys. Check around and make sure your keys are indeed missing. Car keys have a way of hiding in plain sight, especially if you don’t have a keychain on them. Before calling a local auto locksmith in Denver, residents should do another scan of the area and ensure their keys are, in fact, missing. Often times, they’ve just fallen under the car and are hard to spot, or you’ve left them in the kitchen drawer even though you don’t remember putting them there in the first place. 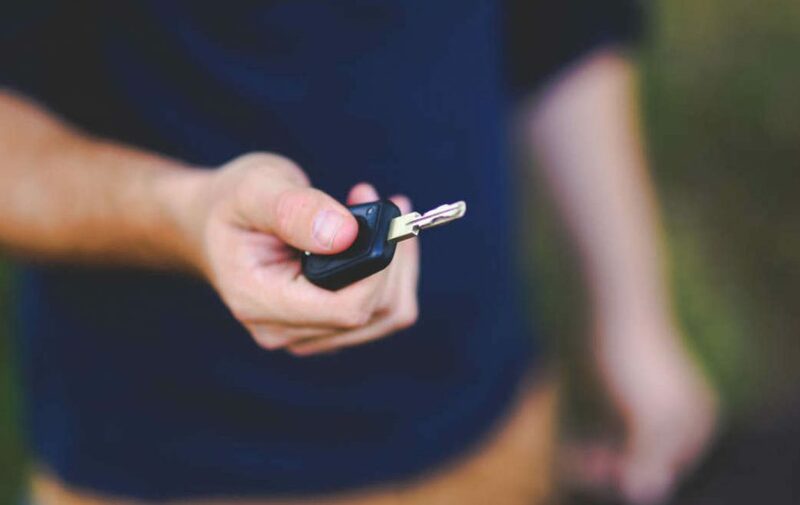 Save yourself the time and money if you can, and double check that your keys have in fact gone rogue before you call a local car locksmith for help. Gather the necessary information. If your keys are gone for good, don’t panic. Car key replacement is easy to come by, whether you’re in Denver or further outside of the city, and you’ll be able to get a new set quickly. To speed up the process, gather the information that an auto locksmith will need in order to help you out. That includes the make, model, and year of your vehicle, as well as a description of the key that was lost, such as whether it was a traditional key, electronic key fob, or transponder key. The more information you can supply your car locksmith, the better. Find a locksmith. Do your research to select a mobile locksmith that is the best fit for you in terms of efficiency, availability, cost, and reliability. When you’re looking for a car locksmith in Denver, you want to make sure to read reviews from past customers and find out what their experience was like. If a company doesn’t have a great reputation, continue looking. For time-sensitive needs, you’ll also want to be on the lookout for a local locksmith company, as this will mean they can likely get to you more quickly than a locksmith sent from a national service. Get a spare for next time. You should always have a spare set of car keys. When the mobile locksmith arrives and you get your new keys made, make sure to request a spare so that you’re covered if and when your primary set goes missing. A mobile locksmith will travel with the tools necessary to make or repair a wide range of different key types. In addition, key cutting is generally easier if we’re already cutting one set for you, so don’t hesitate to ask us about making a spare! Accidents and mishaps happen, and losing your car keys can be frustrating, but not the end of the world. If this “oops” moment happens, do your due diligence, call a reliable service, and you’ll be back in your car in no time. For more information or emergency locksmith service in Denver, contact Job Done Locksmith any time!